The Royal Bank of Canada, through its RBC Blue Water Project, has promised to contribute $50 million over 10 years to protect fresh water around the world. 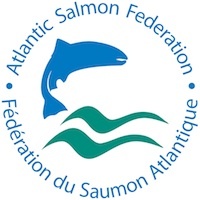 This project is generously funding five projects throughout the Gulf of Maine region this year through a 2013 Leadership Grant to the Gulf of Maine Association for the Gulf of Maine Council on the Marine Environment (GOMC). The 2013 objective for the project is to support initiatives that “help protect and preserve water in towns, cities and urbanized areas,” according to RBC’s Leadership Grant application, especially to projects to “improve water quality and efficiency in towns and cities.” These include management of storm or rain water, efficient use or reuse of water, and protection and restoration of urban waterways. So far, six years into its commitment, RBC has pledged more than $38 million to 650-plus charitable organizations in several countries, and an additional $7.8 million was pledged to universities for water programs. In May, GOMC received word that the RBC had funded its grant proposal for projects in Moncton, New Brunswick; Colchester, Nova Scotia; South Portland, Maine, Portsmouth and Dover, New Hampshire. “This is a great opportunity through the RBC Blue Water Project to further support the great work being done at the community level to restore our streams,” said Slade Moore, Habitat Restoration Coordinator for the GOMC and the Maine Coastal Program. Two projects will take place in New Hampshire―one will construct a 700-foot stream buffer of native plantings and a tree box filter to clean stormwater runoff along the Hodgson Brook in Portsmouth. The $12,000 grant for Hodgson Brook will purchase materials for the tree box filter and plants for the stream buffer, as well paying for engineering oversight, explained Candace Dolan of the New Hampshire Phytoplankton Monitoring Program, Great Bay Community College and the Hodgson Brook Restoration Project. “We hope to enlist 30 volunteers to dig holes for the trees,” said Dolan. She’s sure the project will elicit a great turnout, since for last year’s rain garden project, a small army showed up, armed with rakes, hoes and shovels. “The tree box filter will help collect stormwater and hold it long enough so it can make its way into the groundwater,” Dolan said. 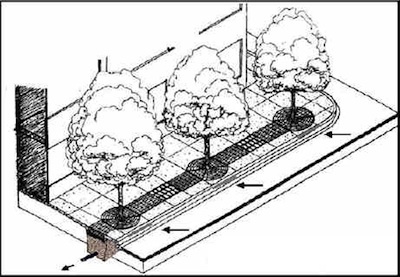 The box consists of a concrete riser around the tree with perforated pipe and a tube beneath the soil. The box filter is designed to capture overflowing water and return it to the storm drain. The entire project will help clean stormwater runoff from 12,200 sq. ft. of roadway. In Moncton, New Brunswick, Mario Cyr, from the Sentinelles Petitcodiac Riverkeeper, said the RBC Blue Water Project’s $16,000 grant through GOMC will be used to help restore Humphreys Brook which passes through an old industrial site. The city has removed an old decommissioned dam which blocked the stream’s flow. Tearing down this dam is a culmination of 10 years of work by the Riverkeeper’s organization. Its removal will hopefully allow fish to return to higher breaches of the stream. “We will remove debris along 1,200 linear feet of the brook where it passes through the industrial area,” said Cyr. This project also includes “revegetation of the banks for erosion control.” Parts of the projects will require volunteers to help with the work, and the project will include an educational component and the engagement from local residents.